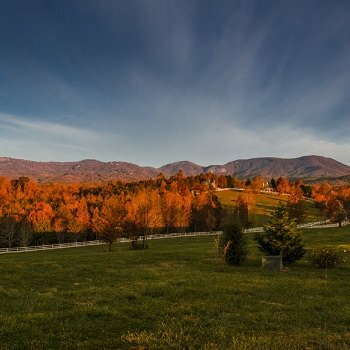 The Red Horse Inn is a South Carolina bed and breakfast located in the foothills of the Blue Ridge Mountains, creating the perfect backdrop for your weekend getaways for couples, memorable honeymoon vacation or elopement wedding. The Main Inn offers two large rooms with generous glass doors that flow onto a vine-draped arbor patio. The expansive Blue Ridge Mountains can be viewed from inside as well as from under the arbor and extensive patio. A garden filled courtyard with pond and patio complete the romantic scene. Sit and relax under our arbor as you read a book and enjoy the views. All cottages and rooms have seasonal fireplaces, hair dryers, irons, ironing boards, TV's and DVD players, alarm clocks, noise machines, ceiling fans and more. Please inquire if you would like an accommodation with satellite TV... five of the cottages offer this additional luxury. Check-in is between 4 pm and 6 pm. Our South Carolina bed and breakfast has a unique way of providing breakfast. At The Red Horse Inn, relax in the privacy of your own accommodation and enjoy the meal that we prepared right before your arrival. In both the Cottages and the Inn Rooms, you will find a breakfast that consists of jumbo muffins or croissants and fresh fruit parfaits or yogurt that will tempt you. Make some oatmeal or grits if you are looking for a heartier breakfast. Alternatively, you may find whole fruit that is overflowing from a nearby wicker basket. Coffee and tea are waiting to be brewed. Please let us know if you prefer decaf coffee when you make your reservation. All rooms and cottages have their own coffee makers and microwaves. All cottages except the Stables have full kitchens complete with a stove, pots and pans and full-sized refrigerators. The Inn rooms have mini-fridges to store your delightful breakfast. Northern South Carolina is proud to be home to The Red Horse Inn, winner of numerous awards from AAA, BedAndBreakfast.com and others. 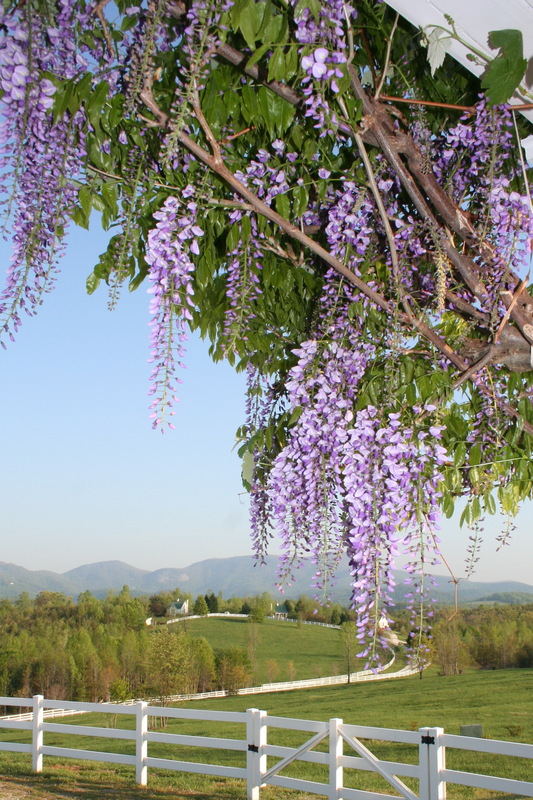 In addition to being the region's best honeymoon vacation spot, the Inn is situated in prime Blue Ridge Mountain territory for those essential getaway weekends and wonderful anniversary getaway memories. Conceivably, a couple could choose us from among the many honeymoon destinations, stay here again two years later for a last minute vacation, and see us again down the road for one of their wedding anniversaries. Truly, our bed and breakfast is all about surpassing other South Carolina vacation destinations with the care and attention that vacationers like you deserve. For accommodation booking or more information, contact us today at 864-909-1575 or info@theredhorseinn.com. Of all the bed and breakfasts in South Carolina, it's hard to imagine one better suited for weekend getaways for couples than the Inn. Generally, the Inn is for romantic getaways for couples, but is also the ideal bed and breakfast for honeymoon couples and anniversary couples to experience an unforgettable romantic couples retreat. By the way, we're open year round for week-long or weekend romantic getaways, which include winter weekend getaways! From romantic couples getaways to conference rooms for rent, the Inn gives other top 10 vacation spots a run for their money. South Carolina bed & breakfasts: Among SC upcountry honeymoon resorts, the Inn is unparalleled and offers more than just South Carolina's best honeymoon rooms -- you'll also experience world-class service and attention to detail at this romantic SC bed & breakfast. Newlyweds often return in later years for a romantic weekend getaway in South Carolina, and again later to choose the perfect SC anniversary vacation package. When considering SC romantic inns, come to our corner of romantic South Carolina and experience the Inn that truly defines the phrase, "South Carolina romantic places." South Carolina bed & breakfasts: For romantic anniversary vacations or romantic Labor Day getaways, even romantic winery getaways, get South Carolina's best honeymoon rooms at this SC romantic couples retreat. Include this destination in your accommodation options for SC anniversary vacation package. Get the best 3-day romantic getaway or best romantic vacations here. Your romantic anniversary vacations can be pet-friendly if you wish. Welcome home... to the Inn!